The Association of Siamese Architects under the Royal Patronage (ASA) and N.C.C. Exhibition Organizer Co., Ltd. (NEO) will organise the 33rd edition of Architect 2019 that will be held in Bangkok. Themed “Living Green”, the expo is expected to attract about 850 exhibitors from 40 countries and the trade fair will be held at Challenger 1-3, IMPACT Exhibition Center from 30 April to 5 May. “Still, Architect 2019 is not limited only to those in architecture professions but it also widely opens to other related fields as well as the general public who are interested in design and construction,” said ASA President Ajaphol Dusitnanond. The exhibition will present architectural design concepts and innovative building materials that could revolutionise the industry, while bringing in local wisdom to tackle the environmental problems with sustainable solutions. 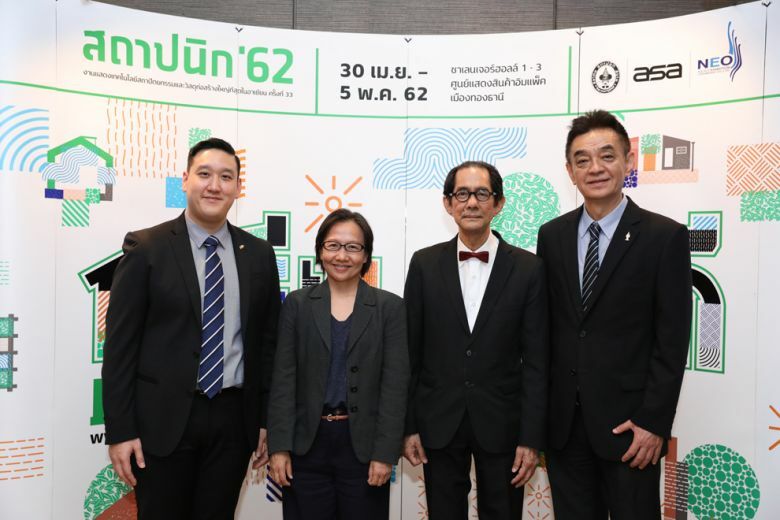 Princess Maha Chakri Sirindhorn will preside over the opening ceremony of Architect 2019 on April 30. 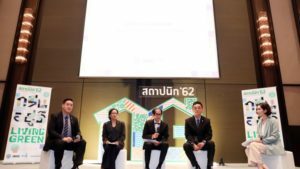 “Therefore, it is anticipated that Thailand’s fast-growing M.I.C.E (meetings, incentives, conventions and exhibitions) sector will grow by approximately 6-10 per cent in 2019,” said NEO President Sakchai Pattarapreechakul. A wide-range of international companies will exhibit their eco-friendly products in Bangkok. Some of the exciting products are SCG Cement-Building Materials Co., Ltd’s IoT (internet of things) technology for smart homes and Jorakay Corp Co., Ltd. will showcase its GColor by Graphenstone, the natural colour for both interior and exterior paintings. While, Thammasorn Co., Ltd. will exhibit water tanks and water pumps, and the latest innovative water systems known for their space-saving design, and TPI Polene Public Co., Ltd. will present its nano technology colour innovation. 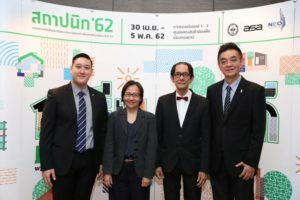 Dr Acharawan Chutarat, who is Architect 2019 committee chairperson, said “Apart from showcasing innovative products from multiple countries, Architect 2019 also features the Thematic Exhibitions specially held by ASA on eco-friendly building material innovation and adoption of local wisdom and technology in tackling the environmental issues in the present day context”. At the exhibition, visitors can also experience “ASA International Design Competition 2019” under the design concept, “Uncanny Sustainability,” she added. The objective of this competition is to seek innovative design ideas based on the sustainability and the originality of the solutions. Some 16 pavilions will be filled with exhibitors from Australia, China, Germany, Hong Kong, India, Indonesia, Italy, Japan, South Korea, Malaysia, Singapore, Taiwan, Turkey, the United Kingdom, the US and Vietnam. And, over 400 business matching meetings are expected to take place at the expo. “This year, the Architect 2019 is held under the theme ‘Living Green’ to invite every visitor to experience the environmentally-friendly products and technology. 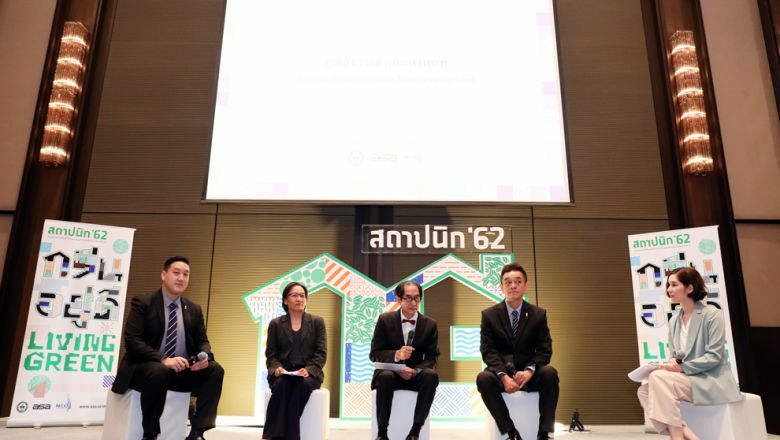 At present, green building has received increased attention and has been growing by 13 per cent every year and expected till 2020,” said NEO Senior Project Manager Ajinveat Vhonthong.